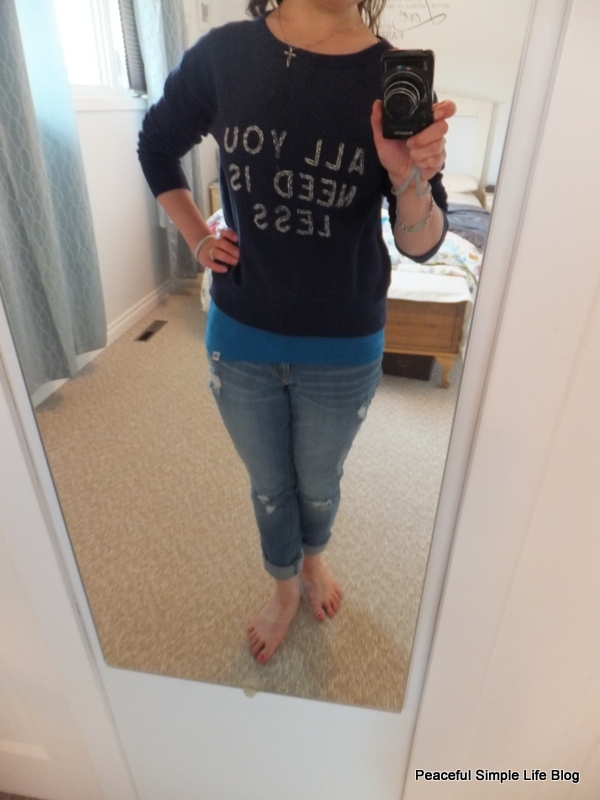 We have had some cooler weather so I pulled out my favourite sweatshirt and my distressed jeans. Super comfortable and functional. I wore this to go clean out our holiday trailer that we are going to sell. I added a necklace and pretty sweater to a basic tank and shorts. 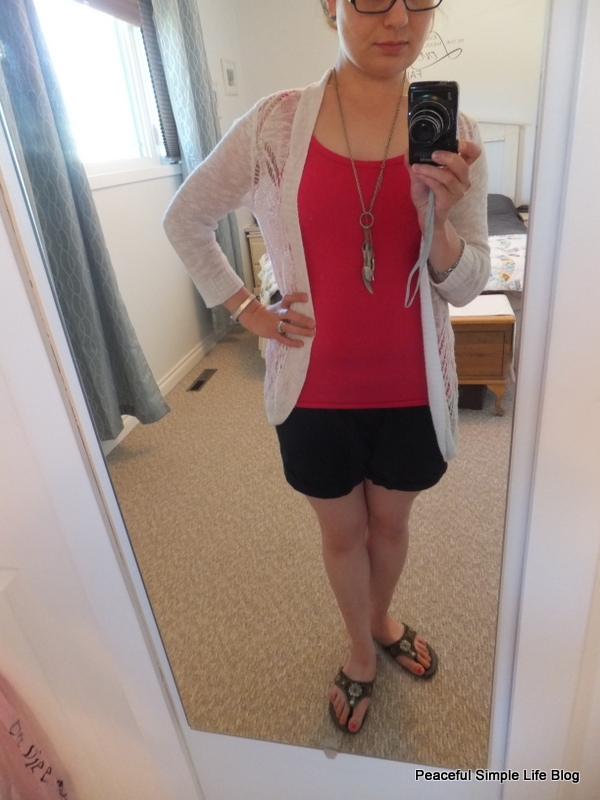 It helped make the outfit look a little more put together. I hope everyone has a great Wednesday! I am off to do some laundry and (hopefully) head outside. I love both outfits! As a mom, we have to dress comfy. Mine usually consists of a lot of T-shirts lol. Thanks, Della! You are so right! I can't toddle in heels AND chase a toddler! :). Comfy is our work appropriate attire!